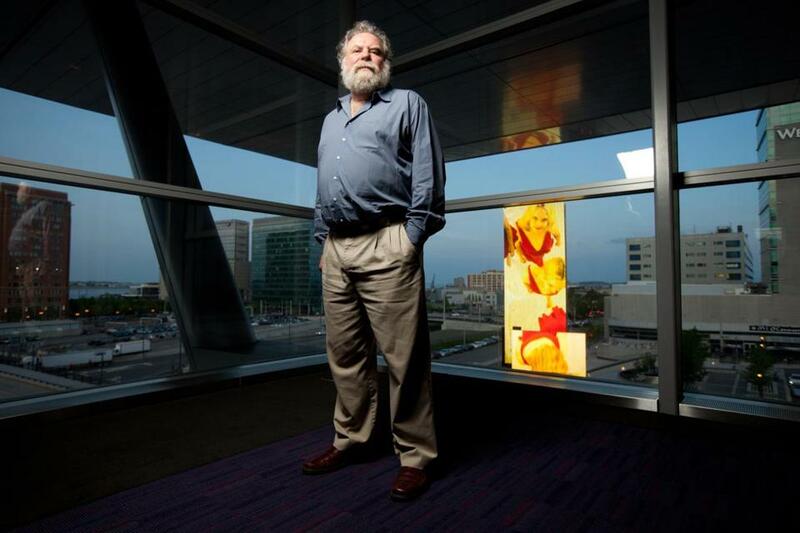 George Fifield, Boston Cyberarts founder, with an electronic display at the Boston Convention & Exhibition Center in May. Back in the day, before the iPod even, a festival was held every other year in Boston for what was then a tiny community devoted to digital art, electronic music, and the newest of new. After 13 years, Boston Cyberarts is ready to widen its reach and make a significant expansion. The organization will announce Monday that instead of holding its Cyberarts Festival, the nonprofit will launch a year-round program, operating a gallery in Jamaica Plain and presenting art on Boston’s increasingly prominent digital boards. Those high-profile projects have seen Cyberarts programming boards on the Rose Kennedy Greenway and the 3,000-square-foot electronic marquee at the Boston Convention & Exhibition Center. 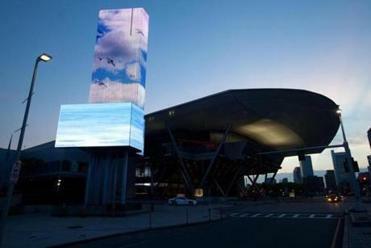 Boston Cyberarts has a 3,000-square-foot electronic marqee outside the Boston Convention and Exhibition Center. Fifield, 61, founded Boston Cyberarts in 1999 after scoring a $40,000 grant from the Massachusetts Cultural Council. Over the years, the festival’s audience grew to 20,000 and a budget of more than $100,000. 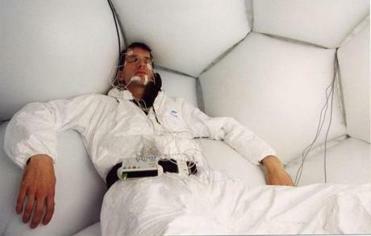 The Boston Cyberarts Festival has featured national figures and events such as video artist Tony Oursler and the world premiere of MIT composer Tod Machover’s “Toy Symphony,” and has taken place at a range of spaces, including Brandeis University, the Institute of Contemporary Art, and the Museum of Science. With only a limited budget, Fifield acted as a curatorial matchmaker, introducing artists to different venues and to each other. All of it took place at the behest of this cheerful, bearded ringleader. 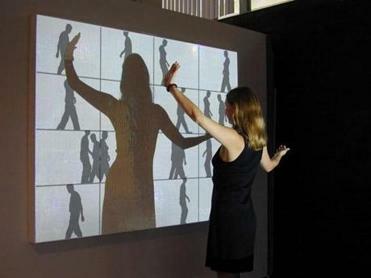 A “Shadow Play“ interactive wall presentation. That ability to connect people is what has made Fifield’s project at the convention center so successful, says Meri Jenkins, program director at the cultural council, which has contributed close to $500,000 to Boston Cyberarts over the years. The “Art on the Marquee” project has offered exposure to a range of artists, including Ellen Wetmore, Jeffu Warmouth, and Kawandeep Singh Virdee, and will continue to introduce others during future waves. “He saw an opportunity, he’s brought a number of artists into that relationship and their work will be shown in a framework that highlights what the best of this work can be,” said Jenkins. The other Cyberarts project is vastly different, a pair of digital boards at the Boston Harbor Pavilion overseen by the National Park Service. Tim Love, of the architecture and planning firm Utile, recruited Fifield to help with a challenge: the boards are low-resolution and can’t really play video. “He immediately saw the potential creative advantages of the low-resolution of the screen,” said Love. 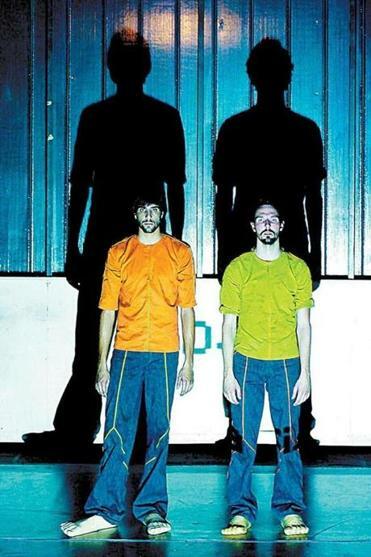 For Fifield, who started working as a video artist back in the 1970s, the progression from festival to year-round programming makes personal as well as professional sense. He has spent a considerable chunk of his time curating exhibitions, both at the now-defunct Boston Computer Museum and as the onetime new-media curator at the deCordova. In 2008, Fifield branched out, curating “Act React, Interactive Installation Art” at the Milwaukee Art Museum. He said that he’s now able to devote full time to Boston Cyberarts. What’s more, Fifield says the festival might not be necessary anymore. In recent years, he’s been pleased to see the creation of the Together Festival, which features electronic music, and the Cambridge Science Festival. He also notes that the Museum of Fine Arts’ new contemporary wing has a media room featuring video art. For its gallery space, Fifield will rename the Axiom Center for New and Experimental Media the Boston Cyberarts Gallery. The space, at the corner of Green and Amory streets in Jamaica Plain, has been a gallery since 2004. Even though he’s pleased to hear of the expansion, composer Eric Chasalow, a professor at Brandeis University and director of the university’s Electro-Acoustic Music Studio, admitted he is sorry to see the festival go.